On March 18th, 2019, BPS organized an introductory session on String Theory by Dr Amer Iqbal. 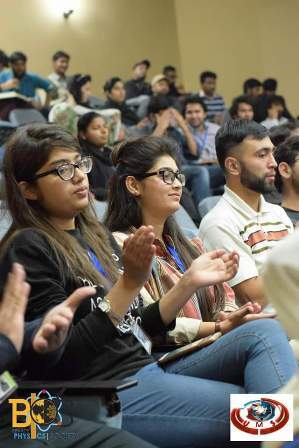 The event was held to raise curiosity among young scientists. Classical Physics along with modern research discoveries were introduced through this session. 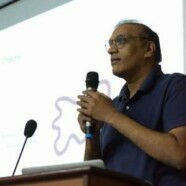 Dr Amer introduced a new take on the idea of dimensions and how in quantum mechanics particles are taken as strings. Further the discussion was augmented with behavior of these strings in different dimensions. It was an informative and successful talk leaving students to wonder about the idea of particles as strings. The talk was appreciated not only by the students but also by the faculty members.